Connecting resources, people, challenges and opportunities in Zimbabwe and at home. JourneyPartners is an ecumenical and interfaith not-for-profit ministry working nationally and internationally to develop networks and partnerships for mutual learning and spiritual growth, through cross-cultural immersion experiences, educational endeavors, construction and renovation projects, and service-learning opportunities. Our work primarily focuses on education, clean water, and health. JourneyPartners has brought more than a dozen cross-cultural mission immersion teams to Zimbabwe to assist with a number of projects, including expanding the Kutenda Children’s Home, rebuilding a medical clinic in a remote village, constructing a 75,000 gallon water reservoir, and providing over 500 textbooks for medical students. The work of JourneyPartners has changed tens of thousand of lives in Zimbabwe. One clean water well/borehole in Gokwe offers greater health to over 1,000 people. The wells at Kutenda provide greater health and wellness to children at the Kutenda orphanage, plus numerous adults in the community. The wells also provide water for healthy foods for the orphanage and a market in Bindura. The Gokwe school will provide education for at least 1,000 children each year — and education may change the world for Zimbabweans. The work of JourneyPartners, alongside other organizations on the ground and the Zimbabwean people, may change the culture in untold ways. Click here for a complete list of accomplishments in Zimbabwe during our 20+ years of ministry. Click here to read first-hand reports from participants in cross-cultural immersion trips to Zimbabwe. 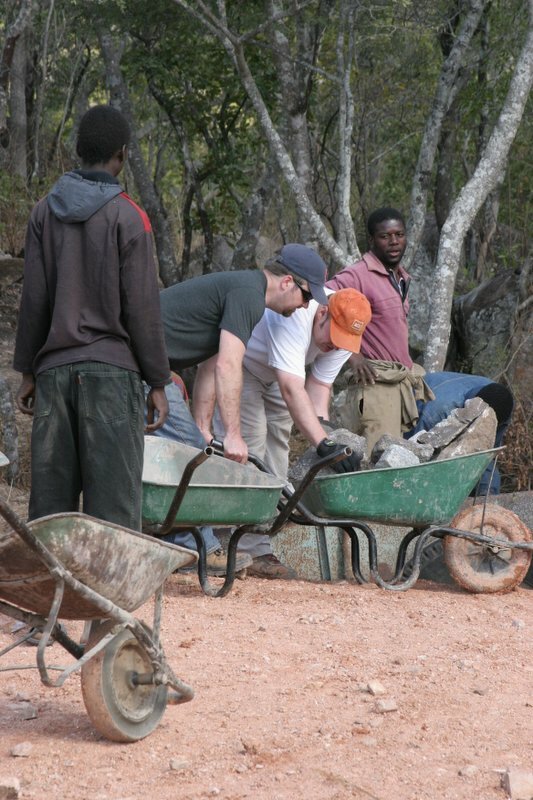 The work of JourneyPartners has changed tens of thousands of lives in Zimbabwe. The organizational strength of JourneyPartners lies in our strong ties with congregations, organizations, and individuals across the country and around the world. It is because of our partnerships that we are able to continue our work and fulfill our mission. Our work would not be possible without the prayers, donations, and work of many dedicated volunteers and donors. Your support and participation are vital to make it possible for Journey Partners to continue assisting our brothers and sisters in Zimbabwe. Here's how you can help. Experience cultural immersion, take part in faith-based humanitarian work alongside and often under the direction of locals, step outside your comfort zone, and make lifelong connections with people who live differently. Help us by assembling Birthing Kits for new mothers in rural Zimbabwe or by stocking School Kits for students and teachers who could not otherwise afford to have the basic supplies needed to last them through the school year. Journey Partners is nearly 100% volunteer-based, which means that we focus on channeling your money to those who need it the most. We encourage you to consider make a pledge today. Every dollar helps us in making a difference!